BiggBossTelugu 2 Season has many masalas since long back which is being hosted by Natural Star Nani. #BiggBossTelugu2 Season is now trending around the internet world only for the reason called Kaushal Army. 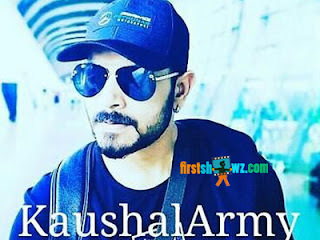 Kaushal Army turns to be the strongest supporters of thier favorite Housemate Kaushal Manda who has also been complimented as the Mr. Perfectionist of BiggBoss House. While his craze going over gaga, there is a different scenario with Kaushal's co-housemates who are cornerning him in every week which is also creating a controversies. Housemates Geetha Madhuri, Tanish, Deepthi Nallamothu and Syamala are back bitching him while Ganesh, Amit, Samrat and Roll Rida are aiming for their safe game since long time in the house. Nutan Naidu is the only housemate who is in support of Kaushal and giving his valuable inputs to him. However, Kaushal fans are in strict decision to make sure that Kaushal will be saved by their valuable votes and publicizing their hard work in order to save Kaushal from Elimination this week. It is also known, that one of the caller named Sekhar has revealed the secret fan base name to Kaushal and his following. Yesterday, there is a hot topic in internet about the voting procedure has not yet open after the show which has created a negative buzz within Kaushal Fans and opened up as this is the cheap trick from the Production House and other circles to dominate Kaushal in the nominations. However the Biggbosss Telugu Vote Page has been in live in early hours today. Lets see whats going to happen on Saturday and Sunday with Masala episode to be telecasted in Nani's hosting.